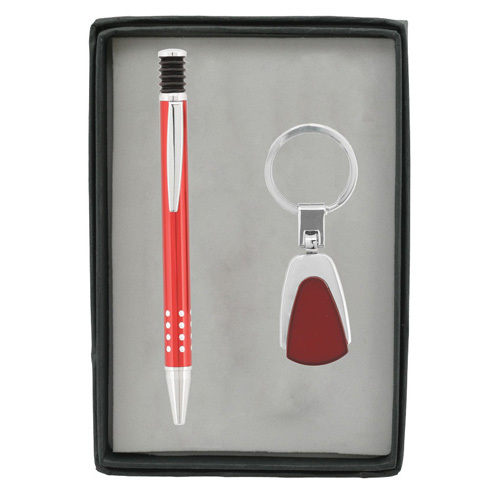 Pen & Metal Keychain Set A chic set for the most discerning client.The set includes a pen with a shock absorber-style end and etched grip contrast that makes an impression even before it is imprinted. 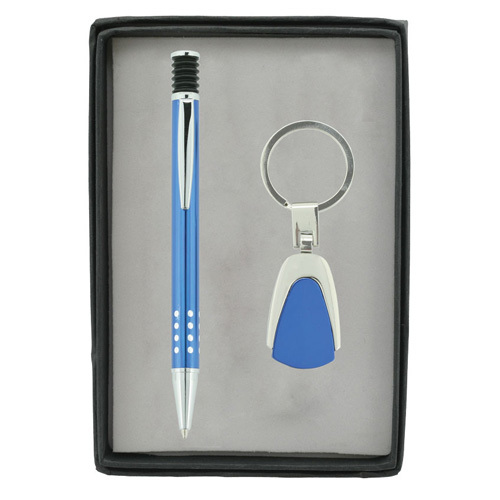 The metal key chain is sleek and elegant with a vibrantly colored surface. 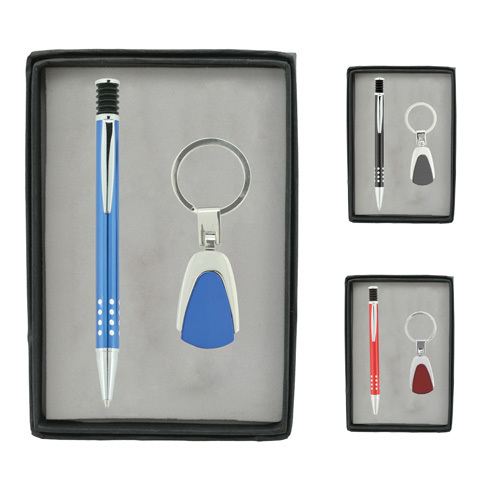 Gift Box / 29 lbs / 100 pcs.